As a multi-stakeholder partnership, the initiative supports and promotes production of ethical goods with no child labour in supply chains. In coordination with the Child Welfare Committee, Jaipur, 138 rescued child labourers in Jaipur were safely repatriated to their families in Bihar on January 23, along with proper documentation for timely compensation. The Child Labour Free Jaipur (CLFJ) Initiative coordinated the sending off of the child labourers. As a multi-stakeholder partnership with broad-scale support from state and district level governments, businesses, civil society organisations and local communities, the initiative supports and promotes production of ethical goods with no child labour in supply chains. Considerably, thousands of children work as child labourers in workshops in Jaipur for making bangles, embellishing textiles and polishing stones for jewellery. 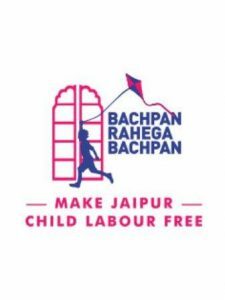 “The idea is to make Jaipur one of the safest places in the world for international retailers and ethical Indian companies to do business,” said the representatives from the initiative, which works on smooth rehabilitation of rescued child labourers who are mostly trafficked from Bihar. Conceptualised by a team of child rights experts with decades of experience working on child rights and trafficking issues in India, including officials in Rajasthan and Bihar, CLFJ comprises members of leading businesses and four main funding partners. It is based on research done by local research experts, such as PRAXIS India, Development Solutions, Inc, and Institute for Development Studies, Jaipur. Taking a step further to end child labour in the city of Jaipur, the recently launched CLFJ initiative organised a panel discussion at the Zee Jaipur Literature Festival on the need to create awareness and to remedy the rampant child labour employed in Jaipur workshops and home-based units. As part of the panel, prominent child rights leaders and authors like Harsh Mander, Director, Centre for Equity Studies; Dalit writer and Professor Sheoraj Singh Bechain, University of Delhi; NGO TAABAR’s Founding member and Secretary Ramesh Paliwal, children books’ author and head of Literature in Action Paro Anand and Sanjoy K Roy, Founder, Salaam Balak Trust, and Managing Director, Teamwork Arts deliberated upon sustainable solutions to end child labour. Moderating the session, Hisham Mundol, Executive Director, India and Child Protection, Children’s Investment Fund Foundation (CIFF), laid the foundation of the discussion by explaining that allowing employment of child labour makes no economic sense. He quoted one of the studies by the International Labour Office (ILO) which states that the benefits of eliminating child labour will be nearly seven times greater than the costs, or an estimated US$ 5.1 trillion in the developing and transitional economies, where most child labourers are found. In order to build the capacity of youth and community leaders, local organisations in Jaipur are setting up community centres, holding community meetings, and working together with local residents. When communities build awareness and resistance to child labour, they lead the movement to create ‘child labour free zones’, and reject neighbourhood workshops that use child labourers. The panellists agreed that while the link between poverty and child labour is obvious, it should not be used to rationalise child labour. Based on their diverse experiences, the participants shared their perspectives about the challenges for rescued child labourers and street children. “We have to feel these children’s pain. If we don’t we are lost already. We have to hear the voices of children. All these children have to be our children,” expressed Anand. The panel echoed a need to alter persistent social perceptions that the best option for underprivileged children is for them to work and that instead society must raise awareness that all children have the right to choose their future. The debate ended with participants expressing hope that the collaborative effort between government, businesses, civil society organisations, and local communities in Jaipur, under the initiative will go a long way in realising the dream with which the foundation of Jaipur city was laid by Maharaja Jai Singh, and preserving the legacy of the city. General Election 2019: Would there be a turnaround for Janata Parivar?